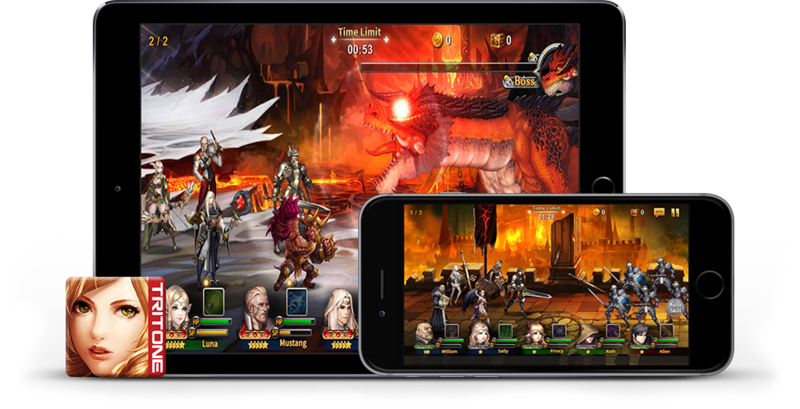 "Heroes' Will" is a mid-to-hard-core RPG, with eye-catching graphics, captivating stories, and utterly attractive hero characters. Players collect heroes as they play the game, and raise the heroes to fight against the monsters and dragons to save the world. They can also compete with their friends in various PVP modes, and join parties with other players in the Guild system in the game. As they go through multiple stages of the game, the chapters reveal characters' stories gradually, which lets users feel like they are reading a fantasy novel at the same time as they are playing the game.